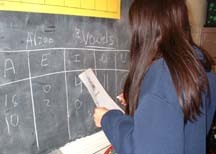 Our ESL students participated with schools across the United States and abroad in the Alpha-Bit Online Project 2004. We were trying to determine if there were more vowels or consonants in a 15 oz. box of Post Alpha-Bits. 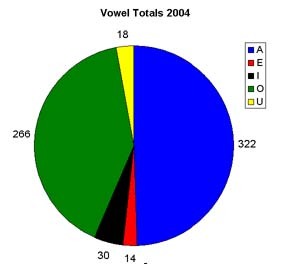 We also wanted to find out which vowel-A,E,I,O, or U appeared most often. 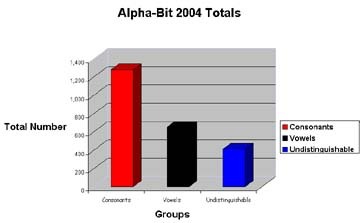 First we divided the Alpha-Bits into three groups- vowels, consonants, and indistinguishable. 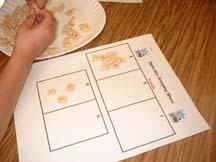 Next, we counted the each group and recorded the results. Then we tallied our results. 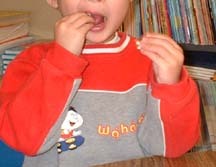 they were consonants or vowels. 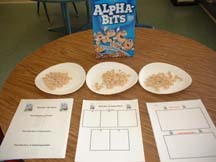 Of course we had to eat the Alpha-Bits after our hard work of grouping, counting and tallying.